Global Synthetic Diamond Market: Application Across Diverse Industries to Fuel Demand - Hwatien Enterprise CO.,LTD. products to be able to expand their product portfolio and regional footprint, alike. According to TMR, some of the prominent companies operating in the global market are Applied Diamond Inc., Element Six (E6), HEYARU GROUP, New Diamond Technology, LLC, Henan Huanghe Whirlwind, ILJIN co., ltd., Sandvik AB, and Zhengzhou Sino-Crystal Diamond Co. LTD. According to TMR, the global synthetic diamond market was pegged at US$16,041.0 mn in 2016. By the end of 2025, the market is expected to value US$29,150.4 mn, exhibiting a CAGR of 7.0% between 2017 and 2025. Based on product, the stone segment emerged dominant, holding nearly 90% of the global synthetic diamond market in 2016. Regionally, Asia Pacific held lead in 2016. Synthetic diamonds have versatile properties, which have played the key influencer in enabling the market buoy a healthy growth over the years. Synthetic diamonds boast a unique combination of optical, mechanical, thermal, electronic, acoustic, and electrochemical properties, which have enabled them showcases impressive economic performances and industrial applications. "They are majorly preferred due to their low friction properties and exceptional hardness, which make them ideal in applications such as cutting tools, precision dressing, and high-precision cutting," said a lead TMR analyst. The same has led to their increasing use in electrical and electronics industry. As a cumulative effect of these factors, the global synthetic diamonds market will exhibit strong growth in all likelihood. TMR's report analyzes such factors to provide a comprehensive market overview. The intent being enabling stakeholders gauge the market's potential trajectory even better. Currently, synthetic diamonds are extensively used in electronic devices such as high-voltage power electronics, high-power optical electronics devices, light-emitting diodes, high-frequency high-power devices, and laser diodes. Besides this, they are also widely used in high-power switches and diodes. In addition, due to their thermal management property, synthetic diamonds find significant applications in the semiconductor industry. On the back of these factors, the global synthetic diamond market is expected to witness considerable growth in the forthcoming years. 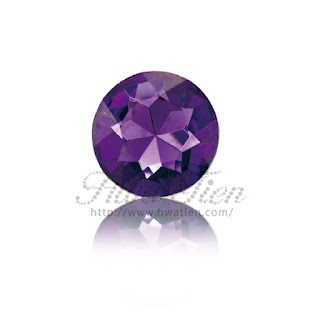 In addition to the aforementioned applications, synthetic diamonds find application in computer chip production, machinery production, construction, mining services, stone cutting, gem exploration, astronomy, surgery, experimental physics, and surgery. In the last few years, synthetic diamonds have risen in popularity owing to their increasing use in oil and gas drills as no other material has properties required for handling extreme conditions. In the last couple of years, synthetic diamonds have found diverse uses in the household sector. For instance, they used in household water treatment. It is important to note in this regard that synthetic diamonds are also used in industrial water treatment.